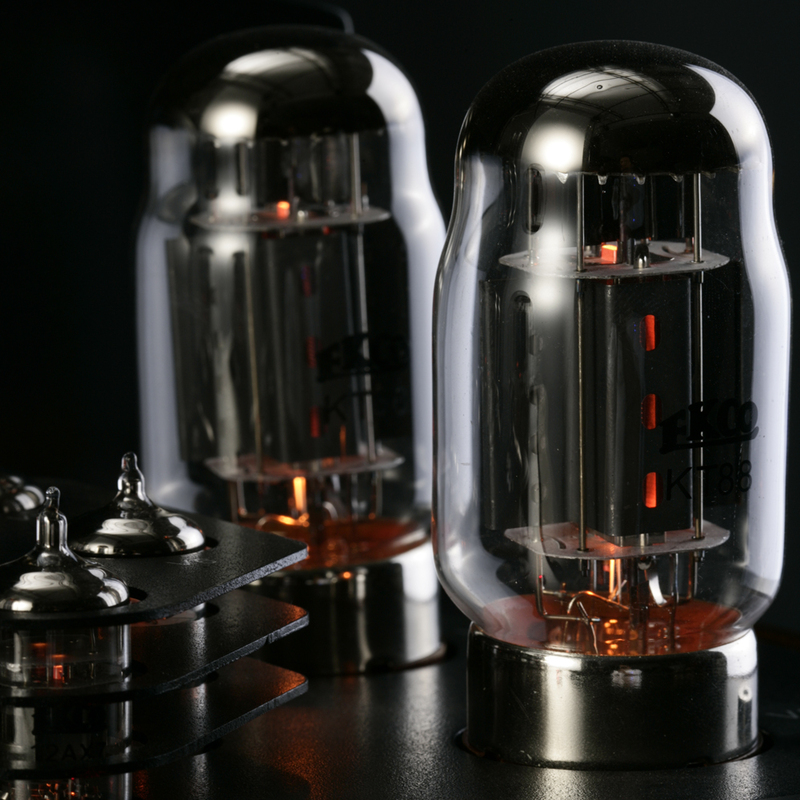 Engineered to create a level of performance that goes beyond mere technicalities, the EKCO EVA Vacuum Tube Integrated Amplifier offers superbly realistic sound reproduction combined with stunning quality of craftsmanship. Powerful in its own right, it will delight with style and substance. The EVA has a special ‘Alps’ motorised control knob for volume, and another for five input selections; RCA, OPT, COAX, USB, Bluetooth. A 6.3mm headphone jack is available for headphone devotees. No undue softness or warmth and no blur. 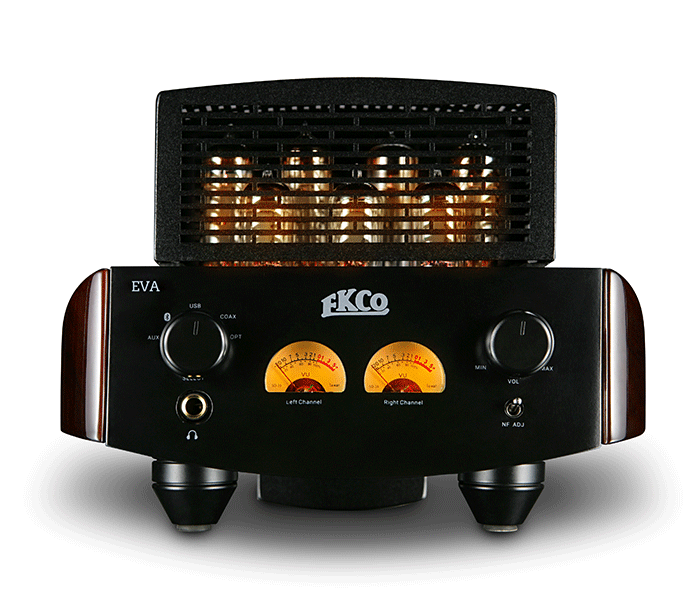 EKCO EVA sounds fast and clean, with a vast array of connectivity and compatibility. The EVA's Chassis and protective grilles are finished with proprietary ‘EKCO’ high temperature black paint. The Chassis sides are fitted with matched pairs of hand crafted solid Deep Louro Preto wooden panels, using a multi-layer piano lacquer finish completing the elegant and vintage charm.